RP32106 is rated 5.0 out of 5 by 1. Rated 5 out of 5 by alpesh from great order it for my business and worked great. on time delivery. How do you get the clear handle off the old 17 series RP32106? Does this work with 1500 series? I would like to replace the handle and temperature selection dial with this kit. Is it necessary to replace the cartridge if it is not leaking or can I just use the top 3 pieces? This does not look like it comes with A74 the handle. or the cap piece. What other parts will I need? How to set the water temperature control? 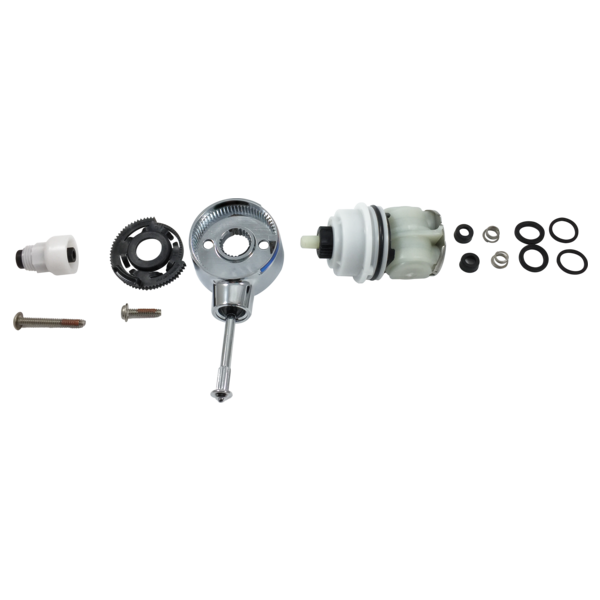 can you provide the part number for the spring and seal kit for a 1700 series Monitor tub/shower control? Model 1700 Trim Kit Available? I am redoing one of our bathrooms, it has a 1700 Series Single Handle Monitor shower and tub assembly. I'd like to keep the valve (in good shape and no plumbing needed), but really need to replace all the visible trim. From the instructions, I would need RP28795, RP17453, RP28597 and RP28595. Are these available as a kit?